Does the majority of your lawn receive a lot of sun or is it heavily shaded? Will you yard have a considerable amount of traffic? How much TLC will give your new lawn? How often will your fertilize and water? Remember, it can take as long as two years to achieve the finished products that sod provides instantly. A low maintenance lawn mix containing 40% Kentucky Bluegrass, 30% Creeping Red Fescue and 30% Perennial Ryegrass. This is a great mix where aesthetics are not high on the priority list. A full sun lawn mix for the average lawn enthusiast. Contains 40% Perennial Ryegrass, 30% Kentucky Bluegrass and 30% Annual Ryegrass. This is a fast germinating mix because it contains annual Ryegrass. A perfect mixture to put next to Bluegrass sod or to seed an entire yard. This is for the high maintenance lawn enthusiast. Contains 60% elite Bluegrasses and 40% Perennial Ryegrass. A full sun mixture that looks great for residential yards. It doesn’t get any better than this. This is the same mixture we use in sod production. 100% Premium Bluegrass for the ultimate lawn enthusiast. This is slow to establish but once established, it looks uniform and beautiful. If you have large trees, this is the mix for you. A great shade mix for areas that receive less than 50% sunlight per day. Contains 40% Creeping Red Fescue, 30% Accent Perennial Ryegrass, 20% Chewings Fescue and 10% Kentucky Bluegrass, Germination is relatively quick, but it always takes extra TLC to get grass established in shady areas. 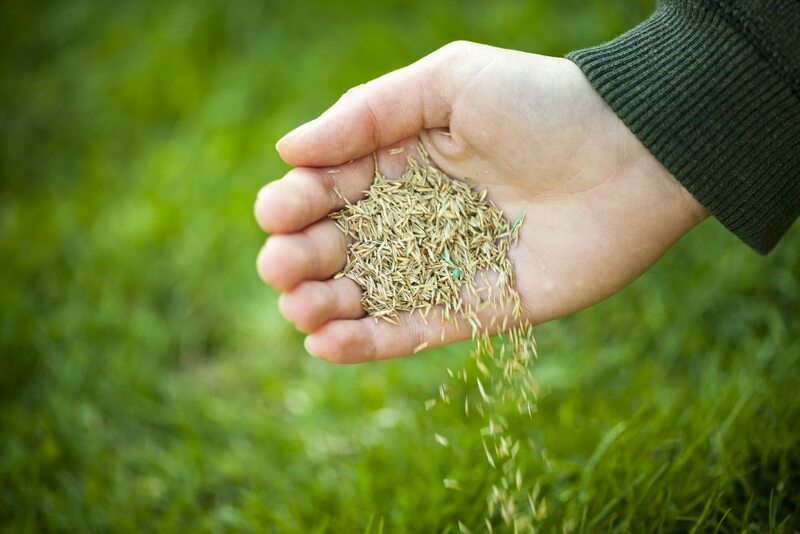 For more information regarding our grass seed products, we encourage you to contact our team directly at 630-557-2900. We look forward to working with you soon. Dunteman Turf Farms is a premier grass seed supplier to clients in Elburn, DeKalb, St. Charles, Geneva, Aurora and Naperville.